Stop. Collaborate & listen. 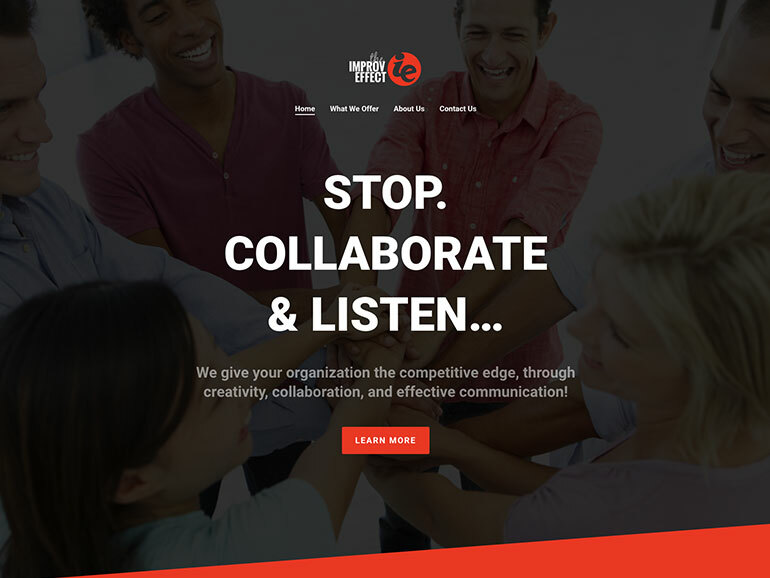 Improv Effect is back with a brand new website and they’re on a mission to provide their clients a competitive edge, through creativity, collaboration, and effective communication. Our mission was to upgrade their online presence with a focused, fun, and easy-to-use website.